Beaten by Krisztian Gardos at the quarter-final stage of the Men’s Singles Class 10 event at the Rio 2016 Paralympic Games, Denislav Kodjabashev extracted revenge on the morning of Wednesday 17th May in the Slovakian capital city of Bratislava. In Rio de Janeiro, Denislav Kodjabashev suffered defeat by the very narrowest of margins (5-11, 11-8, 11-2, 7-11, 14-12); Krisztian Gardos progressed to win the bronze medal. How Denislav Kodjabashev must have wondered what might have been. 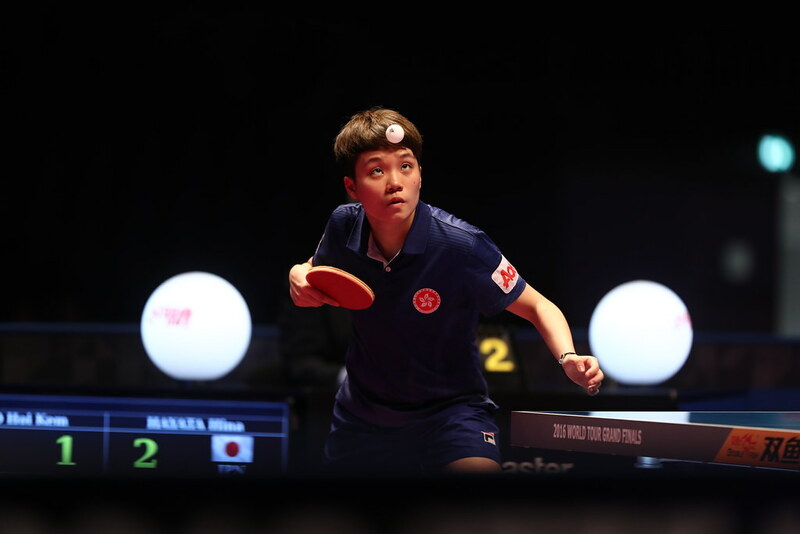 Now some eight months later on Wednesday 17th May, in the opening fixture in Men’s Team Class 10 at the 2017 World Para Championships, he turned the tables. He beat Krisztian Gardos in four games (12-10, 11-6, 4-11, 13-11) but it was not sufficient to secure victory for his team. Bulgaria experienced a two matches to one defeat against Austria. Earlier Krisztian Gardos and Gustav Weisenhofer had secured the doubles against Denislav Kodjabashev and Yordan Mitev (11-4, 11-7, 11-9); later, in the vital contest with the overall score in the engagement level, Gustav Weisenhofer overcame Yordan Mitev (11-8, 11-8, 11-7). “I played normal today, and I am happy to win three-one against Krisztian Gardos as I lost three-two at the Rio Paralympic Games last year. The vital aspect to my winning the match was my good serve and receive; Krisztian made many easy mistakes too.” Denislav Kodjabashev. A hard fought win for Austria in Men’s Team Class 10, it was the same for Russia against France; a contest in which a recovery was needed. Matteo Boheas and Benoît Grasser gave France the ideal start by securing the doubles in opposition to Iurii Nozdrunov and Pavel Lukyanov (12-10, 13-11, 8-11, 4-11, 11-7) but at that was to prove the end of French success. Iurii Nozdrunov overcame Matteo Boheas (11-2, 11-6, 11-6), before Pavel Lukyanov sealed the victory by beating Benoît Grasset (11-6, 11-6, 12-10). Tense moments for Austria, the no.3 seeds, who are in the same initial stage group as Russia; not for the respective top two seeded outfits in their opening contests, Poland and Spain each recorded two matches to nil wins. Poland with Patryk Chojnowski and Igor Misztal on duty, secured a two-nil win against the Italian combination of Mohamed Amine Kalem and Lorenzo Cordua. Likewise, José Manuel Reyes and Jorge Cardona showed no charity when facing Japan’s Nariaki Kakita and Naoya Nagashita; similarly a two-nil win was posted.